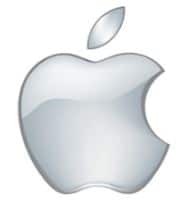 CUPERTINO, CALIFORNIA — Tech industry titan, Apple Inc (NASDAQ: AAPL), was awarded a patent this week by the US Trademark Office for a headset that utilizes bone conduction to deliver improved hearing in the presence of ambient noise. The patent, #9,363,596, was originally filed in 2013. The earphone device uses an accelerometer-based voice activation detection and microphone array, which measures output signals and filters out non-vocal noise to help improve speech recognition over the ambient noise. 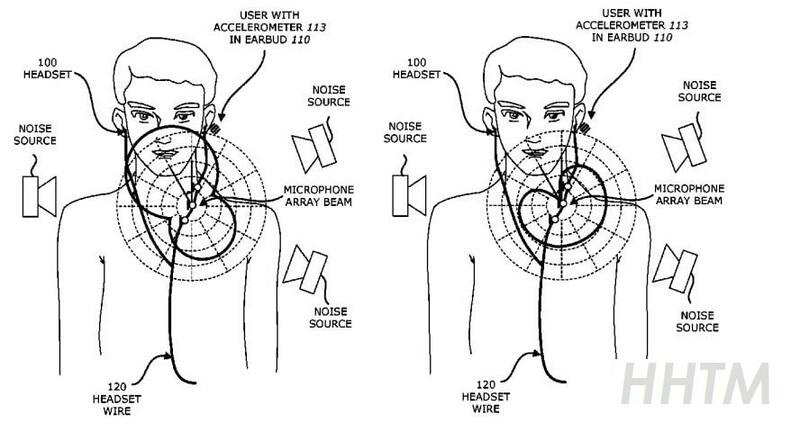 Will Bone Conduction Headphone Tech Come With Next iPhone? A method of improving voice quality in a mobile device starts by receiving acoustic signals from microphones included in earbuds and the microphone array included on a headset wire. 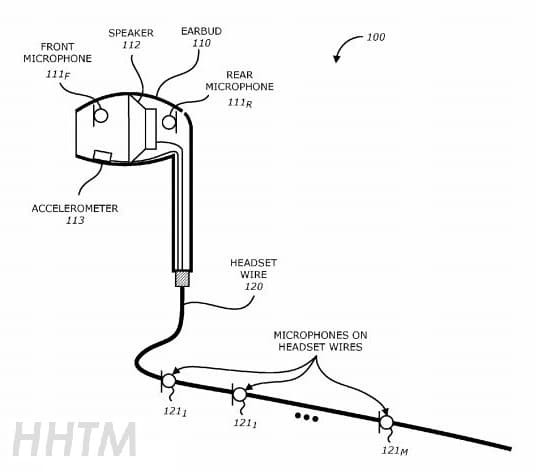 The headset may include the pair of earbuds and the headset wire. An output from an accelerometer that is included in the pair of earbuds is then received. 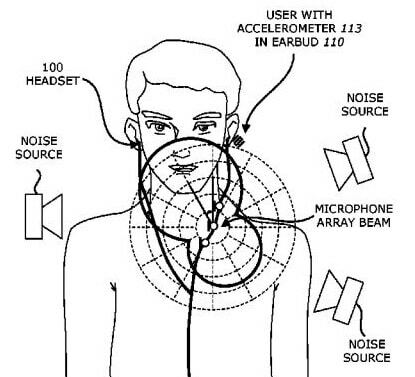 The accelerometer may detect vibration of the user’s vocal chords filtered by the vocal tract based on vibrations in bones and tissue of the user’s head. A spectral mixer included in the mobile device may then perform spectral mixing of the scaled output from the accelerometer with the acoustic signals from the microphone array to generate a mixed signal. Performing spectral mixing includes scaling the output from the inertial sensor by a scaling factor based on a power ratio between the acoustic signals from the microphone array and the output from the inertial sensor. Other embodiments are also described. 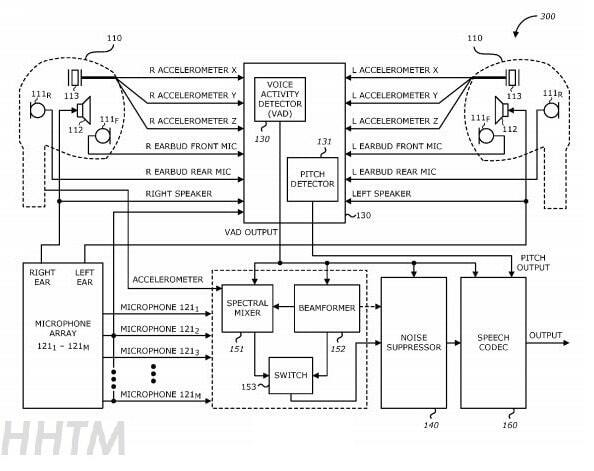 Interested in the latest patent activity in the hearing industry? 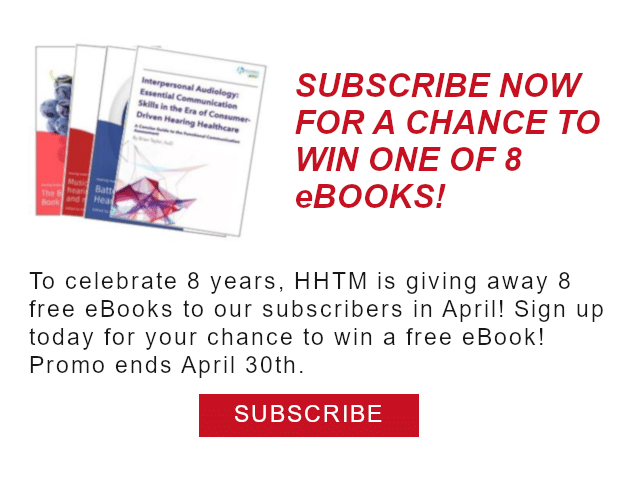 Don’t miss Holly Hosford-Dunn’s bi-monthly patent updates at Hearing Economics. Would like to know how bone conduction can help hearing speech in noise. please respond to my request. Someone with such knowledge. As far as I know, bone conduction amplifies low frequency noise, hence it may help listening to male talkers. But what about higher frequencies , above 1000HZ? Please click on the patent number link provided in the post, it will link to a detailed description of how the proposed system works.